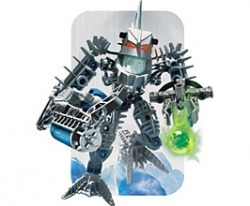 With his love of making things out of anything he'll might make a Matoran Killing Machine. Click here to play as Avak. So bad the Matoran don't know how he'll defeat them but its going to be bad. Click here to play as Hakaan. 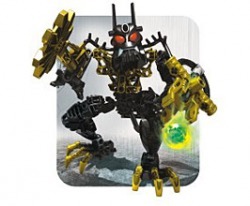 Nasty and mean, this guy could tear up a Matoran in a shot, he's back to do this again. Click here to play as Vezok. 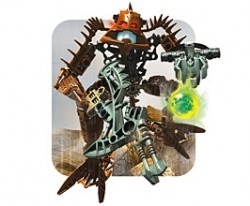 Being the strongest of all Piraka Reidak just might have a chace of defeating the Matoran ONCE and for all. Click here to play as Reidak. 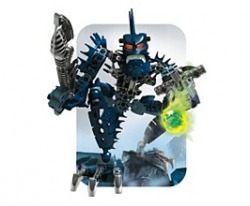 Maybe he'll convince the other Piraka by defeating the Matoran, Who know's. 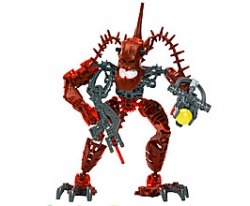 Click here to play as Thok. 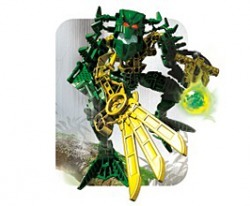 If he Defeats the Matoran he might find the Secret of zamors spheres. Click here to play as Zaktan.